Today we’re cruising in my veggie car to go skiing at Mammoth Mountain here in California. I’m looking forward to snowboarding and traveling a healthy way. As some of you may know, my car runs on vegetable oil. Yes, that’s right, fry oil from restaurants! It’s been filtered, so it’s safe to use in my car, but it’s essentially used vegetable oil. My car runs on Diesel, so I purchased a conversion kit about 3 years ago that allows me to switch between Diesel fuel and vegetable oil. Why did I make the switch? I asked myself, is there a way that I can make a difference in the world, even if it’s in a small way. I heard about this concept and searched out a diesel car that I could convert and here you see it in the video. My Volkswagon Golf TDI. I love this car! I feel like I’m contributing to a healthier, cleaner world. We are always voting with our dollars, so I’ve decided NOT to give money to the big petroleum companies and put my money towards a better cause. That’s my way of making a contribution. You can make a contribution to a healthier environment in your own expression. This was my way. Not saying everybody needs to do this exact project, just thought I would share Kardena’s world. The night we left for our trip we have to get the vegetable oil tank filled and ready to go. We just fill the veggie oil tank with the dark-colored vegetable oil from a 50 gallon drum I have and we use a small pump, and we’re good to go! FYI- I have a delivery company drop the oil to my house. I do have the equipment to filter the oil myself (a simple pump and filter system), but really I don’t have the time to pick up the oil from restaurants and filter it at home. The oil tank fits very snug in my trunk. It’s a little car but it has as much room as I need, plus I have the roof rack for skis, surf boards, mountain bikes, or travel case. This is our travel car and it gets a ton of use with all our outdoor activities. In the front of my car there’s a switch which allows me to go back and forth between Diesel and veggie oil. There’s even an indicator light which tells me which fuel I’m using. The heated tank sends the oil to the engine and guess what kind of mileage I get out of it? Try 600 miles to the veggie oil tank!, that’s about 40 miles to the gallon and Waste Veggie Oil produces half the carcinogenic particulates that diesel fuel produces. 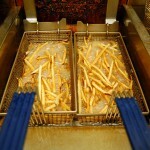 Do you know where used trans fat waste fry oil goes when it’s picked up from the restaurants? Most of it gets sent to companies that make pet food and feed stock! That’s crazy! If fried foods are not good for humans what-so-ever, why on Earth would we feed this toxic oil to our most precious doggies and kitties or livestock? No wonder animals are having more and more health problems! Not all pet foods use this toxic oil, but as far as I know the lesser quality pet foods are typically the companies who use it. So for me, this is more than a diet, it’s a lifestyle. Healthy inside and ou t! How do you contribute to a healthier you and our sacred Earth? I was in Colorado last week visiting my family & friends and doing some snowboarding. I always look forward to seeing my family! Ok, I think I’m now traveled out from my recent Oregon trip and family Colorado visit . I can’t wait to relax this weekend! Let’s talk about the “supposed” best source of calcium: a.k.a: milk! “Drinking milk is an excellent source of calcium.” Or IS IT??? I thought to myself, wow, I can’t believe the advertising, and people actually believe this stuff….It may contain calcium, but an excellent source? I don’t think so! I want to debunk that myth for you right now. Americans consume a lot of milk annually along with Scandinavian countries, and many European countries. In fact, we’re in the top 12 consumers of milk among all the countries in the world, yet the United States along with Europe account for more than half of all bone fractures in the world. And the incidences of osteoporosis in these countries are increasing every year. How does this happen if we are consuming cartons and cartons of milk, which is supposedly good for developing strong bones? Why do we have high incidences of osteoporosis? Because we’re not really consuming the BEST source of calcium that’ s easy for our body’s to absorb and milk actually has an adverse affect on our body’s. In the Journal of Nutrition studies have shown that milk actually contributes to osteoporosis due to the high amounts of protein and the body’s inability to properly digestive, assimilate and absorb calcium form cows milk. Wow! The truth is there are SO MANY better food options for obtaining calcium in your diet than milk. There is a list of the top 120 foods containing the most amount of calcium per gram, and this list was created by the USDA (United States Department of Agriculture). Do you want to know what’s at the top of the list? Seeds! Nuts! 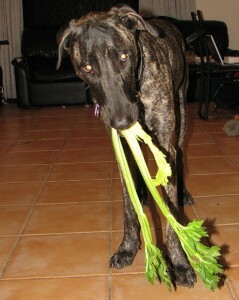 Leafy Greens! Seaweed. Where is cows milk?! Down around #50. Pretty shocking, huh?! Gram for gram, milk is beat out by 50 plant based calcium rich foods! Maybe we think milk is at the top of the calcium list because we see magazine ads showing athletes with the famous milk mustache or the “Milk, it does a body good” commercial, or the happy cow cheese commercials. These are all paid for by the National Dairy Counsel to promote their product, milk! So their message is going to be somewhat skewed. Right? Just like the ad’s in the Breakfast buffet area I’m sitting in now. Some of the best sources may be very surprising to you. You can get plenty of calcium and minerals from kale, leafy greens, legumes, sesame seeds, chia seeds, broccoli and tahini, among so many others. Also, in order to create healthy and strong bones, you need more than calcium, you need minerals and phospholipids to help bind the calcium to make the bone matrix. That’s why greens and plant-based calcium are much better for you, because they contain the minerals that your body needs like vitamin D, potassium, magnesium and fatty acids. There is a study by the American Heart Association that found that vegetarian sources of calcium are more efficiently absorbed and that vegetarians retain more of their calcium from plant-based sources than non-vegetarians. I was just talking to my client this morning and sharing with her about milk and debunking the calcium myth. She said her fmaily is 3 generations vegetarian from India and they drink very little milk and they don’t have concerns or problems with osteoporosis in her family. This got me really excited to hear this from someone I know. Why is this significant? Over half of us are lactose intolerant and have trouble digesting and assimilating milk. The body’s inability to properly digest milk can cause so many health problems. And so many people overlook these health problems because we’re told milk is good for us. Here are just a few of the foods that blow milk out of the water with their calcium content. You get the idea, so if you already eat these foods and foods like them. Congratulations! You are truly doing something excellent for your bod. Quick thought: What do cows eat for strong bones???? MILK???? No, green grass!!! TIP: In the morning I add chia seeds or sesame seeds to my smoothie for calcium and also for the texture! Remember to keep it green by adding either Kale, spinach or green powder to your smoothie! 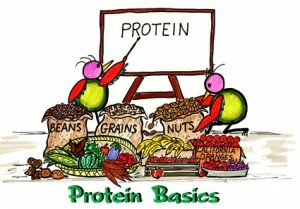 For fast, yummy, healthy vegetarian meal plans, check out EasyVeggieMealPlans.com for more nutrient-rich and calcium-packed foods! I hope you’re ready for this one because a LOT of vegetarians are about to be SHOCKED (and maybe even disgusted) by what I’m about to reveal. Everyday there are millions of vegetarians and even vegan dieters who are unknowingly consuming animal products – and even meat! Yes, that’s right; there are many hidden animal products in our diet. Some bakers grease the tins with animal fat. Most cheeses are produced using animal rennet. Look for non-animal based vegetarian cheese. May contain whey and animal emulsifiers. Mostly derived from animals (beef). Vegetarian gelatin include Agar Agar, Carrageen and sea-weeds. May contain eggs and gelatin that may have been produced from animal fats. Most contain gelatin that may have been produced from proteins in animal bones and skin. Vegetable soups may be processed on the same equipment that process meats. Scary Note! When you order a vegetarian pizza or a vegetarian sub, be prepared to accept a few pieces of non-vegetarian foods. Restaurant workers don’t change the gloves for making a vegetarian sub/pizza after they’ve just made a meat version (unless you ask them). When I was working with fitness expert Craig Ballantyne on his vegetarian diet, I found he was making a common mistake. Like most “lazy vegetarians”, Craig was eating a lot of foods from a can, such as Amy’s Organic Chili, black beans, and kidney beans. However, these are all high-sodium foods, so you need to check the LABELS and compare the amount of sodium per serving with your daily recommended intake. This goes for ALL pre-packaged foods, including pasta, oatmeal, cereals, and anything else that comes in a bag or a box with a label! Don’t worry; it’s easy to eat a wide variety of foods and meals when on the Veggie Lifestyle. And that’s important not only for your taste buds but for your health, too. One way to get VARIETY is to eat fruit and vegetables that are in season because they tend to have more nutrients since they are allowed to ripen on the plant longer, and because they are from local farms (which mean fewer resources are used to get to you). There are SO MANY ways to create variety. Think of the staple foods in the world. They are all basically the same staples; rice, flour, beans…Each country cooks and seasons these same foods in their own unique way. 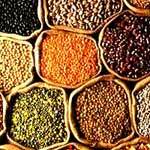 Rice could be curried rice, paella, fried rice, saffron rice, etc… beans are made into soups, salads, veggie patties, and flavored with southwestern spices, Mexican spices,Indian spices, or Moroccan spices. EXPLORE your local health food store and take some time to look at different products you normally wouldn’t take the time t o research. For example, many people are very familiar with brown rice and know that it is healthier than white rice. But did you know there are other healthy grains you can substitute for brown rice? Grains like amaranth, quinoa, millet, and barley each have unique flavors that can add a pleasant twist to the flavor of your dish. Collect some cultural spices and herbs and you will make amazing dishes I know you will enjoy. I don’t like buying recipe books because I only use 10% of the recipes since I don’t like or need most of them. What I do instead is go online and search a particular dish I want to make and sometimes I combine a couple of recipes and omit some ingredients I don’t think will go well together. I end up with a really great dish. If it is a big success then I will print out the recipe and put it in my 3 ring notebook with the other super awesome recipes I’ve acquired – that I will then share with you here. For the second part of our road trip home from Oregon, Mark & I drove south west to the northern California coast to enjoy the Redwoods, the Coast and get in some mountain biking. I have to tell you, Oregon and Northern California are lush and beautiful with over grown fern, dangling moss, and massive trees. It was a magical place! We brought our cooler with us on our trip so we could eat healthy and have our vegetarian food on the road. On our drive to the Redwoods, we were running low on snacks and lunch fixens so we stopped by a regular grocery store in a little town. It was a Sunday and the local health food stores were closed, bummer….So we made the best of the conventional grocery store. Here’s what we still had in our lunch box/cooler and our dry bag. We needed to buy more food for lunch and dinner. We went hunting through the grocery store for healthy vegetarian friendly foods. The first place I go to is the fresh produce department. We ate healthy and light while traveling. We were only driving and visiting with family so we weren’t expending many calories. I am so committed to staying lean and healthy, even while traveling! •	red bell pepper hummus (no preservatives) Some may contain dairy so watch out. So I politely asked Mark if he read the label on the pickles before he picked it and he said no. It’s so funny, I have been teaching him about reading labels since we have been dating and he still doesn’t do it! He said he assumed there couldn’t possibly have been anything bad in it, their pickles! I checked it out and wow! 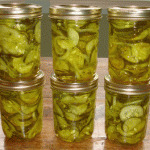 These pickles were not like my grandma used to make on the farm. Cucumbers, high fructose corn syrup, vinegar, salt, food coloring blue #1 and food coloring yellow #5. When was artificial food coloring & high fructose corn syrup necessary to make cucumbers? I looked at every single jar on the shelf and I couldn’t find ONE natural jar of pickles! This is very shocking! What is the world coming too?! My point is Always, Always, Always read labels and never assume. So we skipped the pickles. And our total bill cost us $20 each, $40 total. Here’s how we made a super delicious lunch salad. We had our tub of salad greens we just bought from the store, so we used the tub as our salad bowl. We chopped up avocado, mushrooms, asparagus, tossed in cherry tomatoes, and cut up cucumbers in the salad greens. For my on the road salad dressing, I squeezed the juice of half a lemon into the salad, sprinkled salt and herb seasoning in the veggies, drizzled a little agave nectar in the salad and sprinkled sunflower seeds on top. We tossed the salad and enjoyed our salad, hummus and celery, and chips n’ salsa in the beautiful outdoors. With the food we purchased plus the little food we had already, we had enough food for lunch, dinner, breakfast the next morning and lunch that next day. For buying $20 each in groceries, that’s $5 per meal. Woohoo! That is powerful stuff! We could have easily spent 3 times that amount, more like $60 each. I think eating out is one of the biggest hidden money pits. People justify eating out because “everyone has to eat”. Lame excuse. That’s what a little preparation will do for you. Saves you money and you feel great physically and mentally knowing you are taking care of you body by eating healthy. 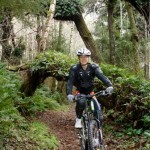 Now we were off to do a couple days of mountain biking in the Redwoods and The Big Sur. It was truly spectacular. 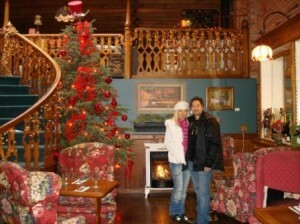 After our trip we both felt great, energized, and happy that we stayed true to our path. Do you have any tips that help you stay on track while traveling or traveling foods? Post a comment! The most common argument against a vegetarian diet is that you can’t get enough calcium or iron, or that you will need to get a Vitamin B12 shot from your doctor. However, it is easy to get plenty of calcium to build strong bones and it’s not difficult to get enough iron. The ONLY nutrient that will take a little extra effort is Vitamin B12. Everyone thinks you need to drink milk to get calcium, but cows, horses, gorillas, and elephants, some of the world’s strongest and most powerful animals, all have built their big strong bones on a vegetarian diet. Plant based calcium sources are easier to digest, and you don’t have to worry about being lactose intolerant when you eat plant based calcium sources. The BEST non-dairy sources of calcium are fortified beverages (such as soymilk and orange juice) and dark, leafy greens like kale and broccoli. Other foods like legumes and almonds can give you calcium. Iron is an important element in your red blood cells to help carry oxygen throughout your body. Iron deficiency is known as anemia and is characterized by chronic fatigue and being susceptible to infections. If these symptoms exist then you MUST first visit a doctor to verify and diagnose the issue. Since meat is traditionally known as the best source of iron, people think vegetarians will end up iron-deficient and anemic. However, there are many iron-rich vegetarian foods, and by eating a variety of whole foods the vitamins, minerals, and phytonutrients work together synergistically to maximize absorption of the other nutrients in the foods. To better explain this, scientists have found that eating vitamin C rich foods with iron rich foods (like spinach) increases the absorption of iron. For example, because bell peppers give you 230% of your daily Vitamin C requirements (that’s more than twice as much as oranges), you can eat a salad containing spinach and bell peppers and you’ll absorb a lot of iron. Plant SOURCES of iron range from green leafy vegetables (spinach, collard greens, swiss chard, kale), whole grains, legumes, soy beans, black strap molasses and dried fruit. And remember to eat foods rich in vitamin C to enhance absorption. With that being said, the RDA recommends for pre-menopausal women 15 mg per day and 10 mg for men and post menopausal women. As you can see, it’s not hard to get enough iron by consuming whole, natural foods. In addition, many foods – such as breads and cereals – are now FORTIFIED with iron which can help supplement your diet if necessary. However, just watch that these cereals and breads are not refined or full of additives or preservatives. Vitamin B12 is essential for your body and is stored in the liver and released when it is needed. Scientists like Dr. T. Colin Campbell, author of “The China Study”, say that Vitamin B12 can be stored for up to 3 years. 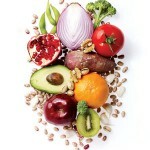 As of right now the only confirmed way to obtain Vitamin B12 is through fortified foods or supplementation. The RDA for Vitamin B12 is 2.4 micrograms for adults. You may need to talk to your Doctor about taking a Vitamin B12 supplement because this is the one nutrient that is not naturally found in plant foods. So it is ESSENTIAL to make an effort to add this to your diet. Foods fortified with Vitamin B12 include non-dairy milks (soy and rice milk), veggie “meats” and breakfast cereals. 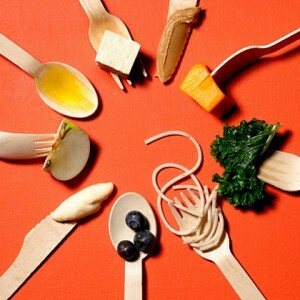 But look at all the ingredients in these foods to eliminate refined products or additives and preservatives. I personally use “Living Vitamin B Nano Plex” as an excellent source of Vitamin B12. It is the first Vitamin B12 made from probiotic fermentation which is more bioavailable to the body. Another option is taking B12 sublingual (dissolve under the tongue). I recommend methylcobalamin which is naturally occurring. Cyanocobalamin is a commonly used synthetic B12 supplement that’s also used in fortification of foods because it can be produced so cheaply. When cyanocobalamin is metabolized in the body the by product created in small amounts is cyanide. We are not exactly sure the impact on the body but I don’t feel comfortable using it. So there you have it – a couple of great vegetarian nutrition tips to increase your iron and calcium absorption, while skipping the special B12 appointments with your doctor. I thought I’d change it up today and give some exercise tips to go along with the veggie nutrition tips. I hear this so many times that I want to share some tips I have learned from my years of training hundreds of people. Tip #1: Get flat abs throughout the day. As funny as it sounds, what you do all day will directly impact your belly. You can activate your abs throughout the day to create a flatter stomach. Many times when you sit at a desk while on the computer, you may be slouching and relaxing your belly. Doing 10 minutes of abs in the gym won’t reverse 8 hours of slouching throughout the day. By sitting straight up in your chair and not using the back rest, you are engaging your abdominals muscles (keeping them pulled in) and training them to stay flat and not relaxed, pushing outward. Tip #2: Doing endless amounts of crunches and sit-ups are not going to give you a flat belly. Getting a flat belly is about a healthy diet and excellent fat burning exercises. Most people have decent abs, they are just hiding under a layer of fat! Tip #3: You can overwork your abs. Doing crunches everyday will not ensure flat abs. You do need to build your abdominal muscles so that when you decrease your body fat, you have that defined, ripped look. Your abs need to rest and recover just like your body does after a workout. Working your abs everyday will not give them enough recovery time and time to rebuild. Tip #4: Perform ab exercises with passion and intensity. Flopping up and down like a fish will not cut the mustard. I am not impressed when someone tells me they can do 1,000 sit ups. This does not demonstrate proper form to me and they are probably using momentum to perform the exercise and not engaging the muscle fibers making the exercise useless. Here’s the SECRET: Squeeze your abs in every exercise. I guarantee by intensifying each repetition, you will get faster, and better results. More veggie meal plans and a “veggie detox plan” coming soon! I love being spontaneous and adventurous! My husbands work schedule opened up last minute and we had the opportunity to go see my sister, parents, aunts, uncles, and cousins in Oregon for Christmas. 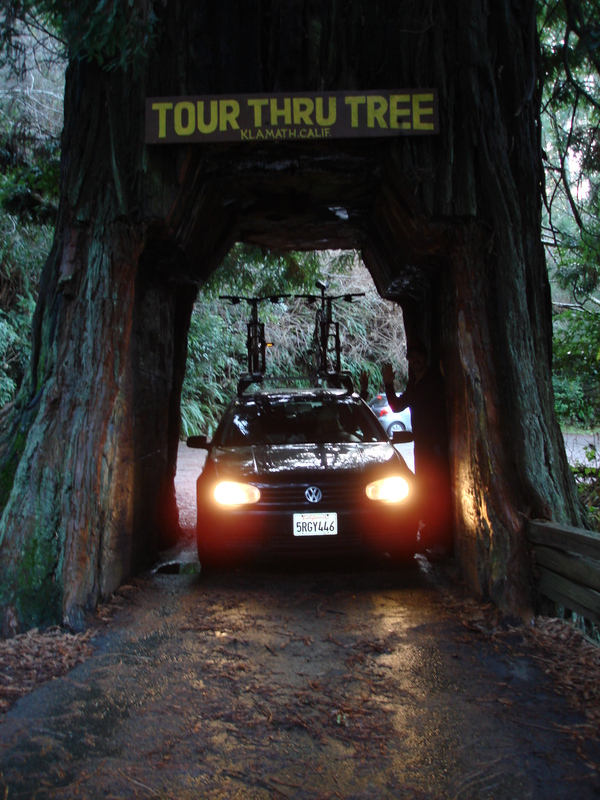 We loaded up the car with mountain bikes on top and headed to Oregon to surprise my family. I’ve never surprised my family like this and I was kind of excited & nervous to see their reaction. First of all wow, how humongous is California? It felt like we were driving forever and we couldn’t get out of the state. What was I thinking driving all that way? We finally made it on Christmas day late in the evening close to 8pm. Mark and I surprised everyone! Their jaws dropped with shock and excitment to see us. We had a great time catching up and everyone couldn’t get over the fact that we were there. Luckily my aunt had extra room for us to stay on such last minute notice. Brought my goodies with me! As you probably guessed, I brought a cooler of food with us on this trip becasue highways are mostly lined with fast food joints and overpriced water. I didn’t make a salad at home before we left because we were in such a hurry to leave, so I threw all the veggies and whatever I had in the frig in a cooler. 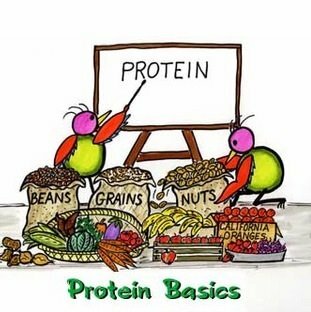 I had a couple of canvas bags filled with non perishables like baked organic blue corn chips, a couple green bars, raw almonds, oat groats, and protein powder. When we got hungry we would pull over at a rest stop and make a salad in a bowl I brought. We would chop, slice and dice. Shake salt, herbs, and lemon for salad dressing right on top, toss it and salad was served. I also love dipping veggies in hummus so that was another snack I brought with us. I brought a gallon of water and 2 smaller bottles of water. This way we could refill the smaller bottles and keep them in the front seat with us and put the gallon jug in the back. Buying water at a regular grocery store is always cheaper than buying it at a convenient store. Better yet, if you have filtered water at home, use that! Even when I have had to buy water at a convenient store, check out the price of a gallon versus a liter of water. The gallon is usually maybe 20 cents more than the 1 liter so better to just get the big jug. You’ll drink it all anyway! I have to confess, my relatives made cookies and they were sure to give us some even though I told them we didn’t need any. Sooo, I did fall off my program a couple times I have to admit. My body and stomach let me know it wasn’t happy about my choices so it was easy for me to get back on my program. 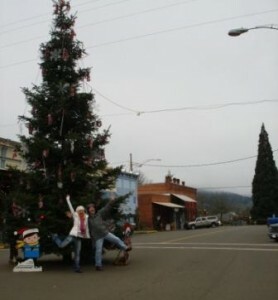 We practically made it to Oregon driving on vegetable oil, almost 600 miles! Wow! I’ll share with you the details of my veggie car in another post. I’ve had my veggie oil burning car for over 4 years now. How did you do on your diet program over the holidays?